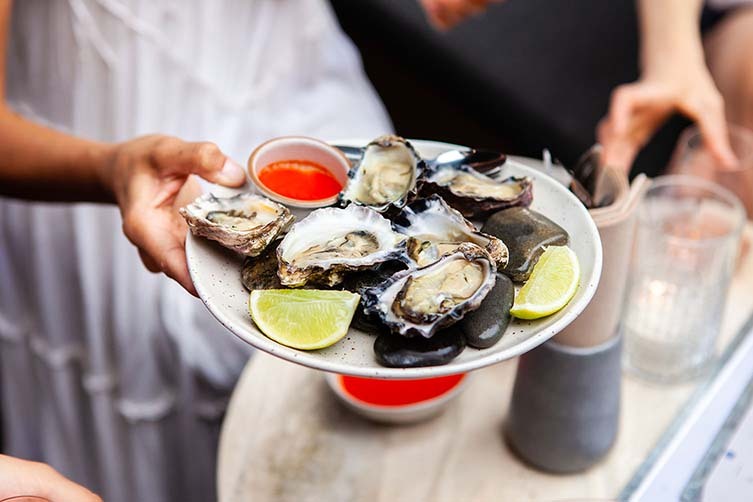 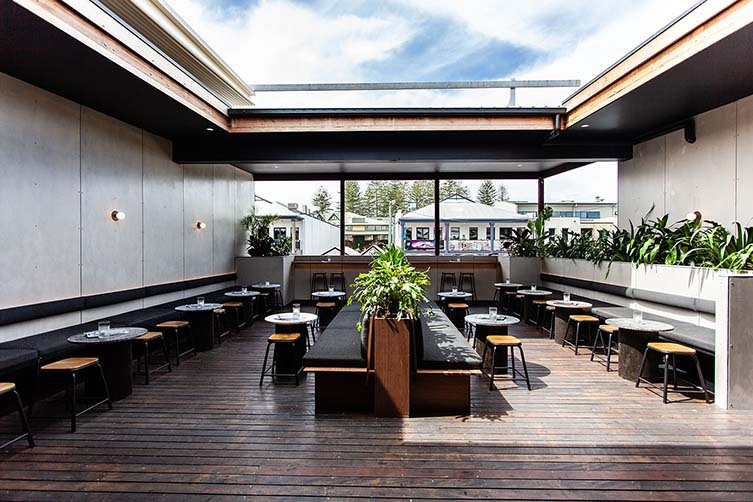 Byron Bay's Locura brings in the flavours of Latin America and style of L.A.
Mexican fare, cocktails and late night revelry feature high on the menu at Latin America-inspired eatery Locura in New South Wales’s carefree party town of Byron Bay. 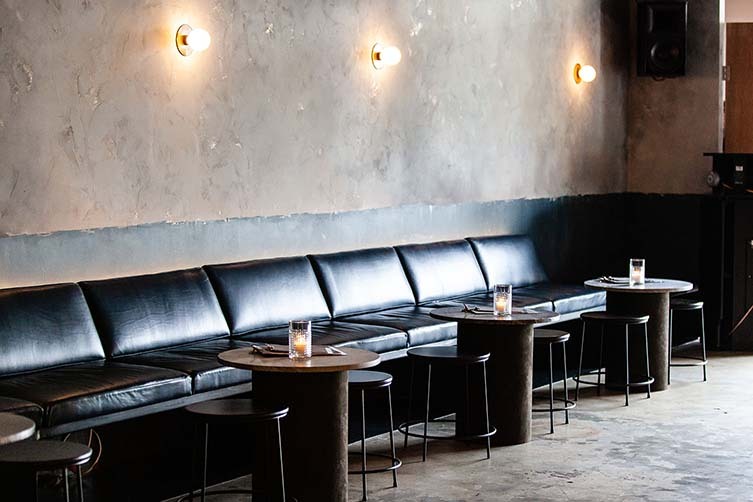 From the established Three Blue Ducks hospitality group, the restaurant was inspired by a trip to L.A. and Mexico—chefs and co-owners Darren Robertson, Andy Allen, Mark LaBrooy, Chris Sorrell, Sam Reid and Jeff Bennett meeting with locals and feasting at a mix of street-side taquerias and higher end restaurants. 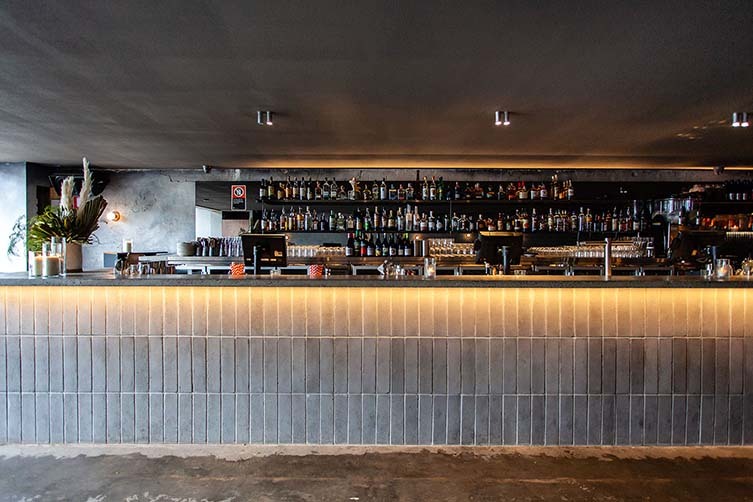 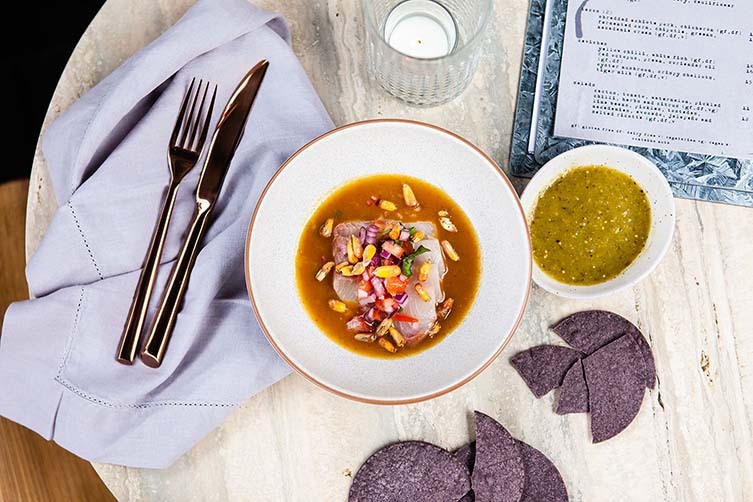 The result is a fun-time restaurant with a menu that offers a selection of small plates in a fusion of Mexican, Costa Rican, and Peruvian flavours. 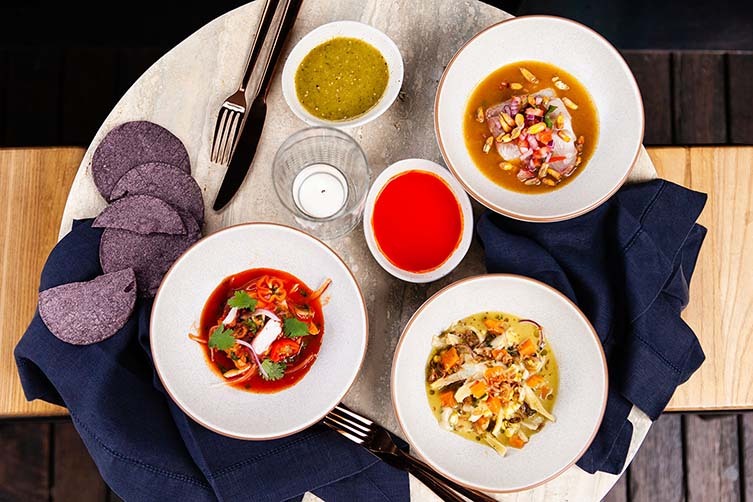 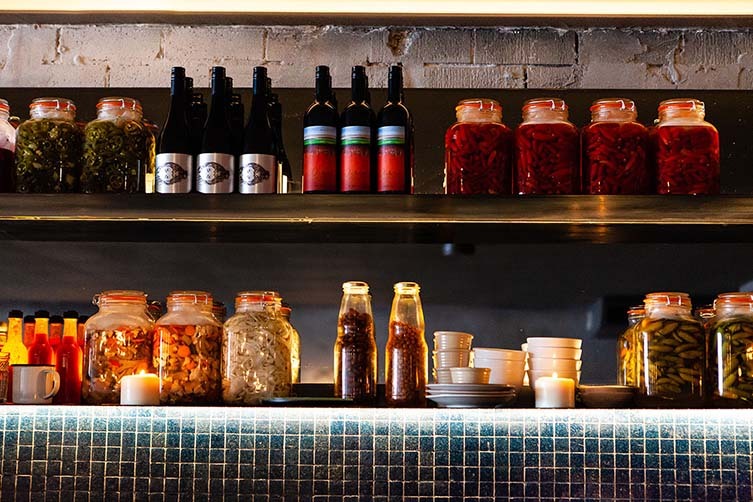 With Latin American cuisine lending itself well to the climate in Byron, the team created a menu of hot and cold dishes, the likes of fried corn and chickpeas, oysters, ceviches, tacos, and salads a delight on the palette—especially when paired with their house-made fermented hot sauces, rubs, salsas and cocktails. 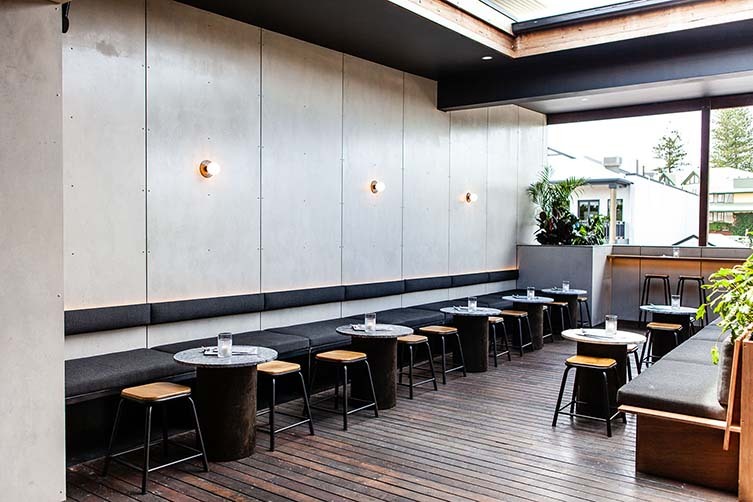 The latter simple, fun and fresh, and created by Tim Phillips, who—with over 17 years experience in hospitality—will craft an eclectic selection of mezcal-based tipples or micheladas. 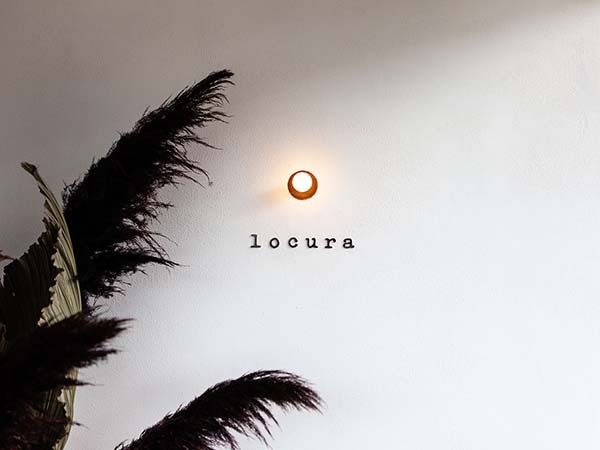 Designed by Pattern Studio, Locura is a sleek and minimal space that shuns the clichés so prone to this type of culinary inspiration—industrial aesthetics bring the Los Angeles style, and wide openings mean you can tuck into these decadent flavours with the warm South Pacific Ocean breeze blowing through.